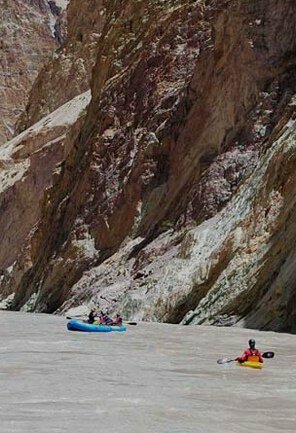 On the Ladakh to Srinagar Jeep Safari, you will get the opportunity to explore and glimpse spectacular panorama of the looming mountains, garrulous River Indus flowing on one side, far out villages, soaring barren lands, and silence, it seems as if Ladakh has stood standstill for many centuries. This is the place where the sun plays hide & seek with the clouds gliding all around the towering peaks of the Rocky Mountains, spectacular monastery and frosty winds here blow so strong that the Tibetan temple keeps on oscillating. In this pleasant and peaceful environment, one can be simply taken aback by the absolute immensity of the spiritualism all around. 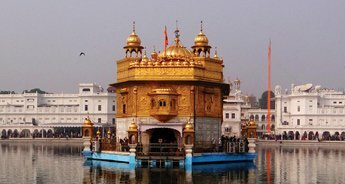 Further talking about this exciting ten days jeep safari expedition, it begins from New Delhi. 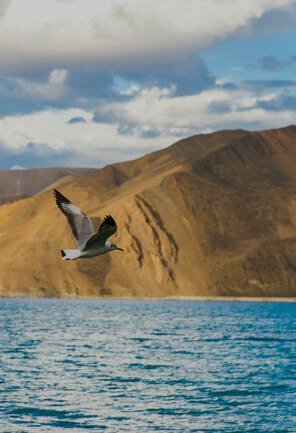 Afterward, a 2 -hour flight from New Delhi will take you to Leh. From where you will board an exhilarating drive. 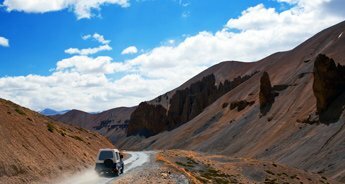 On the way we will be passing through Khardung La, which is one of the highest motorable access roads in the world, to visit the Nubra Valley. 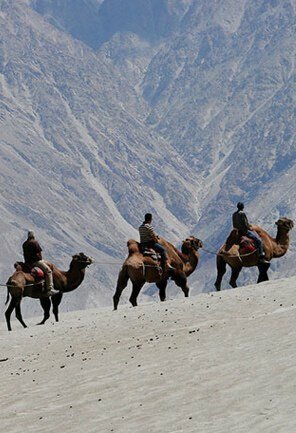 A verdant oasis in the midst of stark hills and harsh barren mountains, the magnificent Nubra Valley can be best enjoyed and explored by a ride on the double hump Bactrian camel. 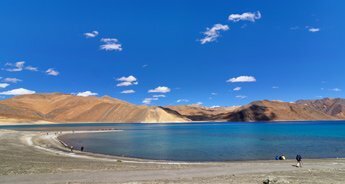 After that, you will pass through a sequence of soaring mountains to reach Diskit, a village located in Leh and is also a well-known tourist attraction. 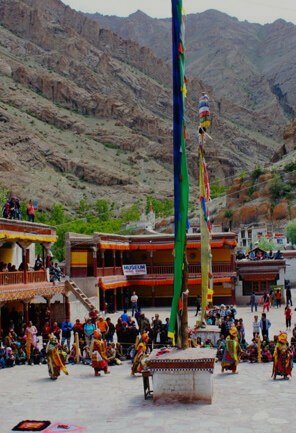 On the next day, after exploring the magnificent Diskit monastery, we will go for a pleasurable sightseeing tour to Alchi Gompa, Likir Gompa, and the Lamayuru Monastery. Then, you will visit Kargil, the stirring area of the Jammu & Kashmir which has witnessed several wars and bloodshed. 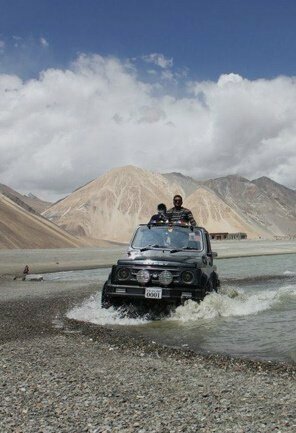 And afterward, you will move forward towards Srinagar and then towards Leh, where this jeep expedition will end. 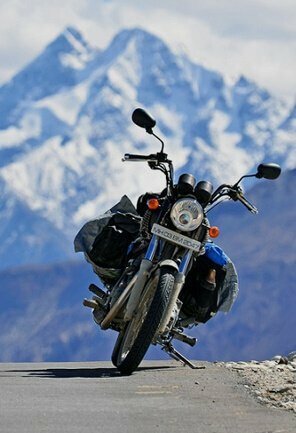 Beside from Ladakh, expedition one can also make a choice for a sightseeing tour to New Delhi. For more information about this jeep safari, go through the detailed itinerary mentioned below. In the early morning from Delhi, we will board the scheduled flight to Leh. 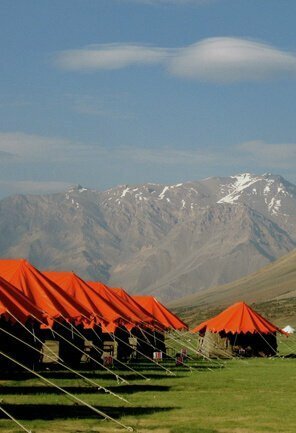 After reaching Leh you will transfer to the hotel and have some rest. 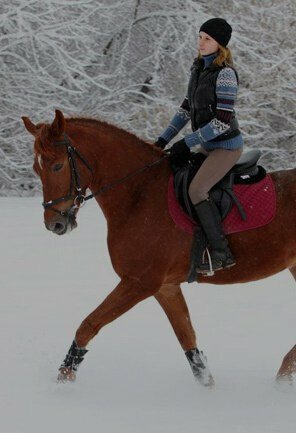 The evening time is all free for the leisure activities. 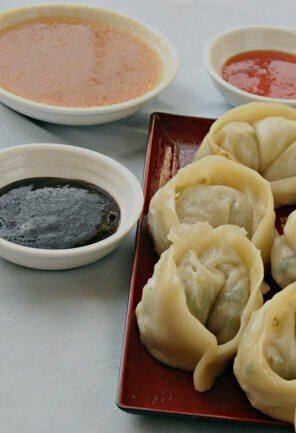 We will be having delectable dinner and stay overnight at the hotel in Leh. 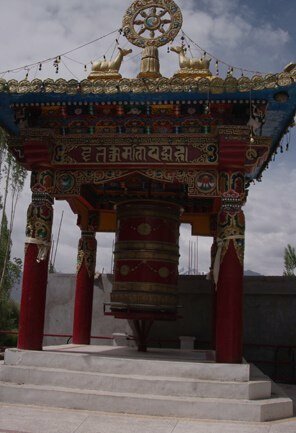 This day in the early morning, we will visit the Hemis monasteries and Thiksey. In the first half of the day, we will visit the Thiksey monastery to attend the 'praying ceremony. Later we will visit the spectacular Hemis Monastery, which belongs to the Drukpa Lineage. It is the biggest and one of the richest a Tibetan Buddhist monastery (Gompa) in Ladakh surrounded with a magnificent backdrop. 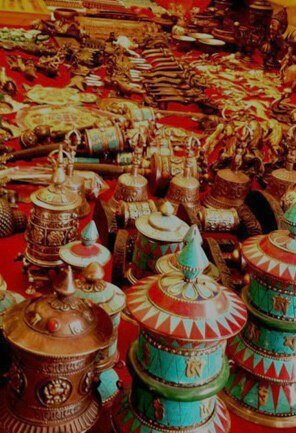 While returning back to Leh, from Hemis, we will also you will also visit the Shey Palace. We will be having scrumptious dinner and stay overnight at the hotel in Leh. This day is going to be a little erratic and exhilarating. Today, we will wake up early morning and after having wholesome breakfast we will begin our trail. 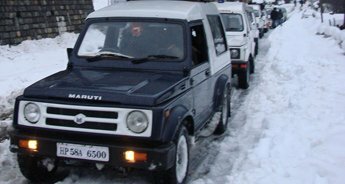 We will drive up -hill towards the Nubra Valley which is accessible only via Khardung La (5,570 Meters), the highest motorable road in the World. 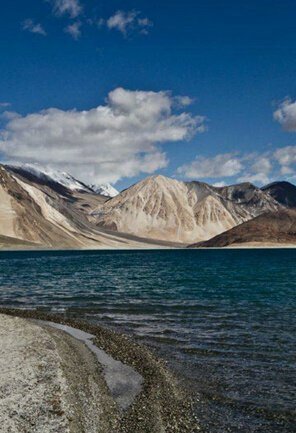 As we move ahead and drive across the Khardungla, the path takes us to the popular destination and heart of the Nubra Valley, Hundar, which is located near to the Diskit monastery. Also, here one can see the Bactrian Camels (Shaggy double humped Camel), wandering all around the spectacular valley. After exploring and spending some time in the Nubra Valley, we will visit the remarkable expanse of the 'White Sand Dunes' at Hunder. Just a few kilometers away from Hunder is located Diskit, which will be our next place for the night stay and dinner. 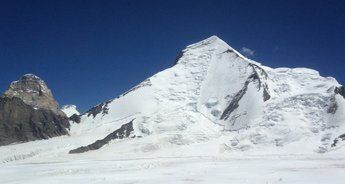 Today from Diskit, we will move forward in the direction of Leh by crossing over the extensive sand dunes. 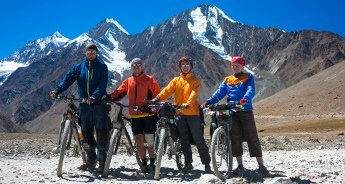 We will take a ride to the ancient passes and have a glimpse and experience the village life of the people in Nubra Valley through the awesome Bactrian Camel Safari. We will be having scrumptious dinner and stay overnight at the hotel in Leh. Today having wholesome breakfast, we will be taking the Leh-Srinagar road and move ahead to reach our next destination Likir Gompa. After spending some time at Likir, we will continue the journey for and drive for a few kilometers to reach the Alchi Gompa, a Buddhist monastery that preserves various unique and ancient paintings of the 11th century. Later we will drive in the direction of Uleytokpo where we will enjoy the scrumptious dinner and stay overnight. On this day, we will head towards our next destination Kargil. 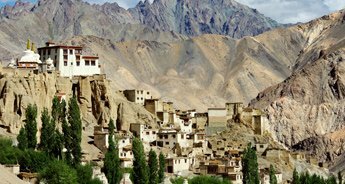 On the way to Kargil, we will visit the Lamayuru monastery which is one of the idiosyncratic and oldest monasteries located in Ladakh. 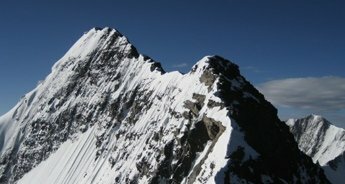 Later the drive move ahead over the Namik-La (3,697 Meters), and we arrive at Mulbekh where there is a spectacular Chamba effigy which is carved out of a single rock and is about 50 feet high, over Fotu-la (4,087 Meters.) 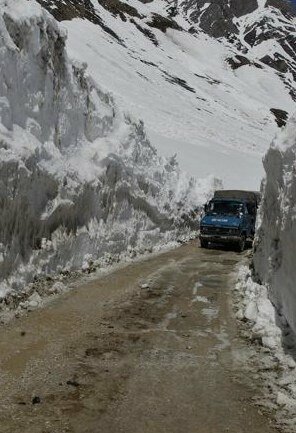 which is the highest altitude pass on the Leh -Srinagar road. After exploring and viewing captivating vista of the granite color soil rocks, we will drive downwards all the way through the kangaroo curves towards Kargil. 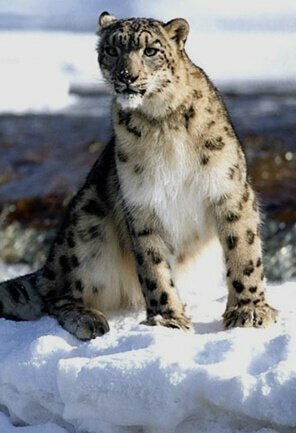 Tonight we will be staying overnight at a hotel in Leh. 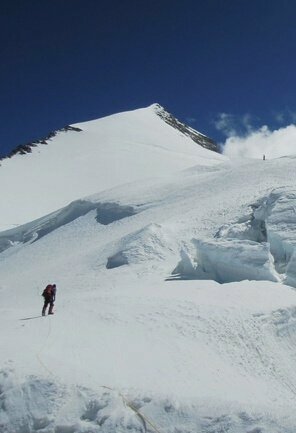 On this day, we will move forwards to our destination of the day Srinagar passing through Drass. 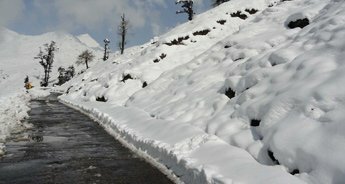 Drass is the 2nd coldest populated a site in World, on the way we will also visit the Kargil war museum, Minimarg and pass through the Zojila pass that is at an elevation of (3033 Meters) to reach Sonamarg which is a stunning destination of positioned in the magnificent Kashmir Valley. 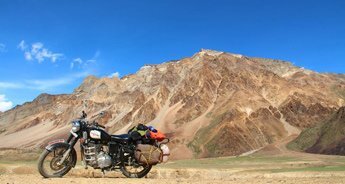 Later after we pass the Jimmy Gate on Zojila we enter into the captivating Kashmir Valley an extensive verdant green region that is in particular in distinction to the barren and desolate lands of Ladakh. 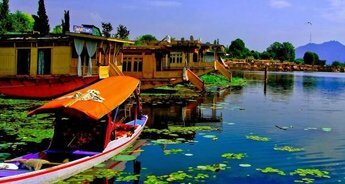 In the evening, we will reach Srinagar and check into a houseboat which is anchored on well-known Dal Lake. 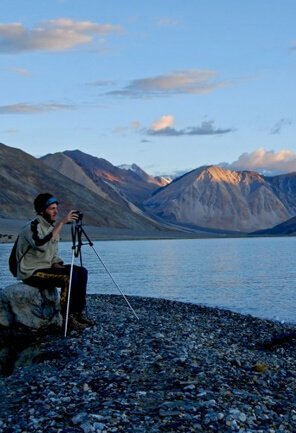 After facing many thrilling and adventurous journey, now it is the time to explore the exquisite beauty of the charming landscapes of Srinagar and capture them in your cameras. Today, we will be visiting and exploring some of the most famous and prominent places of this beautiful hill station like Char Chinar Chinar, Dal Lake, Chashme Shahi, Shalimar Bagh (garden), Nishat Bagh- 'The Garden of pleasure' and other places if time allows. 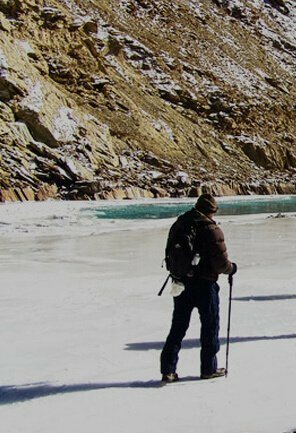 Today, in the early morning, you will transfer to the Srinagar Airport to board the scheduled flight to Delhi and take back some beautiful memories of this expedition.